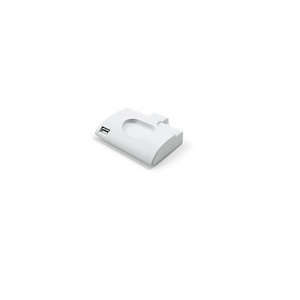 This Philips Respironics cellular modem is designed for use with the DreamStation series of CPAP and BiPAP machines. The modem transmits therapy data via cellular service that can be viewed by the end user via the DreamMapper app and the user's physician if the physician has the appropriate software. The DreamMapper app provides easy access to your sleep therapy compliance and therapy data as well as tools to help improve your overall sleep therapy experience. This module will simply plug into the slot on the side of your Philips Respironics DreamStation CPAP / BiPAP machine. This modem will only work with Philips DreamStation devices. I will not work with any other devices. This modem will not transmit pulse oximetry data.